Ultra-high voltage electron microscopy (UHVEM) possesses a number of advantages that cannot be afforded by conventional electron microscopy. 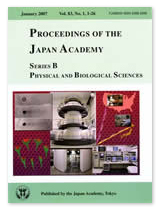 Examples are (i) the large observable specimen thickness necessary for three-dimensional observation and in-situ observation of bulk specimens, (ii) the large space of the specimen chamber which makes it possible to perform a variety of in-situ experiments, (iii) electron channeling by simultaneous excitation of many reflections, (iv) implantation of foreign atoms in a well-controlled manner into a specimen due to the elastic collision with fast electrons, and (v) high spatial resolution due to the reduced wavelength of electrons. 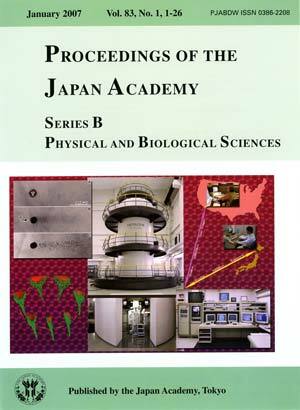 In order to make studies in materials science as well as in biological science utilizing these advantages, an improved, second-generation 3 MV UHVEM has been installed in the Research Center for UHVEM, Osaka University. The microscope (center) is conventionally controlled from the operation desk in the neighboring room (bottom right) where X-ray from the instrument is shielded. The routine accelerating voltage of 3 MV (3.5 MV at maximum) is the world highest. Taking advantage mentioned above (i), the three dimensional arrangement of mitochondria in the cell has been revealed by electron tomography with the microscope (bottom left). On the other hand, taking advantage mentioned above (iv), a unique technique of foreign atom implantation into the matrix has been established. With this technique, it is possible to implant such heavy solute atoms as Pb deep into the matrix of light elements such as Al, by high-energy electron irradiation (top left). Recent developments in national and international advanced networks have made it possible to construct a remote operation system that permits full and real time operation of the microscope. This system enables the use of this unique instrument by researchers around the world (top right). The background photograph in violet shows a high resolution image of the crystal lattice of diamond with a lattice constant of 0.357 nm. Photos and captions were prepared by Professor Hirotaro Mori, Research Center for UHVEM, Osaka University.